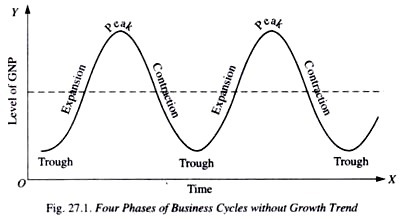 A business cycle increase the degree of difficulty in managing a business. Watching (and experiencing) some unconnected sectors undergoing big cycles right now has me thinking about cycles. Here are some big ones currently: a) Silicon Valley start-up valuations declining after a 7-8 year boom, b) oil prices bouncing around a 20-year bottom, c) interest rates nearing the end (one of these years) of a 30-40 year decline and therefore super high prices for bonds, d) private post-secondary education in the US hitting a 15-20 year low spot after boom times after the financial crisis, e) beef prices as seen through the Stockman Grass Farmer newspaper, f) commodity price declines and therefore subsequent declines in farm land prices and farm capital equipment makers (John Deere), g) big, processed food manufacturers starting to have declining volume after having growing volume since World War II, and h) stock market bouncing around a 7-8 year high. I am sure there are many more; these just came to mind quickly. Build a balance sheet to withstand the slow times. So logical, yet so difficult to do. Warren Buffett says that if you have a highly variable income, he suggests saving 40% of annual profits in cash and liquid investments. 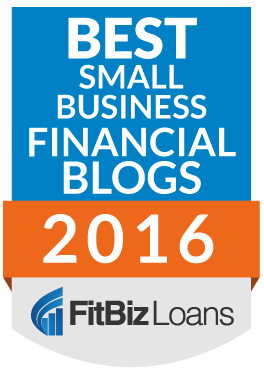 Debt can often create big problems for cyclical businesses particularly because it is easy to load up on debt in good times (see the comments on lenders below). Keep your wits about you — do everything you need to do but also do not over react. You are never as smart as it seems at the top of a cycle and never as dumb as it seems (mostly!) at the bottom of a cycle. Keep your wits about you and find the right balance between changing the things you must and not over-reacting. Most importantly, do not think you are a genius at the top of the cycle when you can be a little cautious. The top of the cycle is not normal. We always remember the high points; but we need to remember that a high point is not normal. We cannot build our businesses for the best of times, we need to build them to work in all times. Keep fixed expenses low. There is no better protection than to be maniacal about keeping fixed costs low. This is important protection against difficult times, because it is often just too difficult, too slow and too disruptive to change fixed costs when a company is in trouble. In recent years, I helped a company get out of a bad lease that was 5x bigger and more expensive than what they needed. We got lucky to get out of it, but no one wants to rely on luck for success. Keep headcount as low as you can, and avoid large swings in headcount. At one Berkshire Hathaway annual meeting, Warren Buffett put up a chart of the headcount in the Berkshire Hathaway insurance operations compared to the premium volume written by year. There was huge swings in premium volume as Berkshire wrote a lot of volume when premium prices were high and wrote very little when premium prices were low (very difficult to execute, by the way). At the same time, the insurance personnel headcount did not fluctuate much. He explained that he wanted to keep the headcount low as a general rule and also help give those insurance people confidence that they can turn down insurance deals when pricing is low, and not just write volume to stay busy and keep their jobs. Plus, it is just too painful to make big changes in headcount in a down cycle if we let headcounts get too big in good times. This is also very difficult to execute when employees are screaming for help in busy times — which means that a constant effort to find more efficient methods and keep headcount low is important. Watch leading indicators (your customers and your customers’ customers and other players in your eco-system). Here is what Nation writes about the cattle business: “What is confusing, particularly to cow-calf producers, is that there normally is a considerable lag when it appears that your buyer will continue to pay you high prices even though his sales price is falling. So, we tend to do nothing and continue on as if we were going to miss the financial bloodbath affecting everyone else. But, we never do.” In private post-secondary education, it is obvious on a macro scale that the government will have tighter and tighter budgets into the future and that the traditional (public) institutions were likely to fight back against the rising market share of private institutions to protect the flow of financial aid money. Regulators are fighting the last war, and therefore can exacerbate cycles. In banking, lenders seem to continue to be reacting to the financial crisis and still are not lending to small businesses because of the increased regulatory cost of every loan and the regulators somehow prefer large company loans. In private post-secondary education, regulators saw the booming enrollments of 2009-2012 with very high profit margins for the public companies, and decided (maybe rightly in some cases) to do something about it. Their actions made the private post-secondary decline deeper and even more difficult than it otherwise would have been. In California, over half of the private schools have gone out of business in the last four years.